LinkedIn For Kids: The biggest lead-gen pimp on the Internet? Home » LinkedIn For Kids: The biggest lead-gen pimp on the Internet? 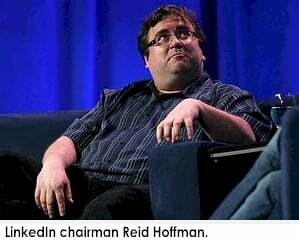 What’s LinkedIn chairman Reid Hoffman looking at? 13-year-olds — LinkedIn’s newest big-money data set. And my bet is his sharedholders are going to be looking at the Internet’s biggest privacy nightmare yet. Advice to Moms and Dads: Take your kids off his street. Under the guise of helping 13-year-olds “start their careers off right,” LinkedIn is launching a massive initiative to tap the $300 billion teen market — selling advertising and selling access to kids’ data. Ever since LinkedIn went public, it abandoned its mission to be the world’s biggest and best professional network. It has quickly evolved into an advertising business. With a hot IPO behind it, LinkedIn’s management team rushed head-long into silly commercialization, betting that its public relations campaigns could keep its reputation afloat — while the company furiously drained all the integrity out of its ever-growing pool of users. First, LinkedIn ejected its team of salaried relationship-builders and brought in a boiler room full of telemarketers working on stiff quotas. According to SEC filings, in short order LinkedIn’s sales and marketing operation skyrocketed from 207 people to 1,822. LinkedIn founder Reid Hoffman and CEO Jeff Weiner realized that their company’s value wasn’t in the business networks it had created. The big money was in keywords. So they started selling members’ data to employers, just like Monster.com and CareerBuilder do. With a wink and a nod, LinkedIn cautions members to apply only for jobs they are truly qualified for — but gave them a button to easily and instantly apply for any job they encountered. Like the job boards, LinkedIn is facilitating a jobs lottery: The more tickets you buy, the more chances you have to win! And as LinkedIn members started flooding employers with applications, employers paid LinkedIn to drink out of a fire hose. But, everyone knows that job boards aren’t just in the job board business. They’re in the lead-generation business. Your “profile” is chock full of incredibly valuable information to salesmen and marketers. If you don’t believe me, just create a faux membership on any job board using a faux e-mail address and watch your in-box to see who’s buying or renting your data. Hacking Members’ E-mail: The new business model? Hoffman and Weiner have found the Holy Revenue Model: Charge everyone, and convince everyone this is the only game in town! Gone are some of the most useful services that LinkedIn used to offer to members. The company killed LinkedIn Answers, a powerful way to network and share information — and introduced a service its users find laughable: Endorsements — the equivalent of cheap come-on lines thrown at girls in bars. Then LinkedIn itself started courting girls and boys — 13 and older, just two weeks after issuing $1 billion in new stock. Now kids can connect with adults. What’s going on here is obvious. LinkedIn is scrambling to acquire more personal data, from yet another valuable demographic, to prop up its stock price. Gimme a break. This new “age of consent policy” has nothing to do with 13-year-olds’ “careers” and everything to do with collecting personal data. LinkedIn’s intentions and motivations are obvious. Reid Hoffman is driving around the Internet offering memberships to a demographic that spends $200-$300 billion annually (teenagers) — and that’s just in the United States. Hey, little girl… how about a nice piece of e-candy…? LinkedIn is now all about advertising. To monetize the 13-year-old data set — and your profile, too — the company just hired Groupon ad exec Penry Price, signaling that “connections” are the bait, and that the real name of this game is advertising. Has LinkedIn become the biggest lead-gen pimp on the Internet — now featuring kids, their personal data, and their money? Moms and dads can start sweating bullets, too, wondering who’s protecting their little girls’ and boys’ information. But stockholders can rejoice, at least for now, because everybody pays the house. As litigation mounts, Hoffman and Weiner may find they’re going to pay the piper. Have you noticed more LinkedIn solicitations in your e-mail? Do you think your e-mail addresses have been hacked by LinkedIn? Is this “business network” looking like a dog to you? I don’t think Linked In is all it’s cracked up to be, although I have found a good use for it. Whenever someone asks to connect with me, I check them out, and if they seem like a potentially useful business connection, I connect and then ask for a personal meeting. About 20% of the people say yes, and this practice has allowed me to increase the size of my network of personal contacts. I am a consultant in private practice, so Linked In has become a good way for me to expand my mailing list and connections. No gigs from it yet, but that’s OK.
One of the reasons I fell into clinical depression so quickly after losing my job 5 years ago was the belief that unless I shelled out big bucks to the Employment Cartel, I would never, ever get hired again by anybody. It took a shrink and a career counselor six months to talk me out of it, but the trauma still remains. As a senior middle manager in distribution, I’ve received only one valid “hit”, just a little over a year ago, from a company desperate to fill a second shift (12-hour shift, at that) position for a forklift driver. Most of the other offers are “work at home” plans, or offers that are “going fast”, so call within the next 24 hours! I’ve not updated anything on any jobsite for years now, and am even considering dropping off the state-run “new and improved” site, which was formerly actually useful, and generated real live interviews with real live companies. As most readers seem to be doing, I’m maintaining my LinkedIn profile to keep in touch with people professionally, and make new friends through the groups. But I’m not waiting by the phone . . .
My policy of never connecting to any automated ‘collect your contacts’ app is looking better all the time. Awful as these moves by LinkedIn are, one thing is incorrect in the question from your reader, who said: ‘”I’d like to add you to my professional network.” Who are they kidding? Nobody would say it like that. They’d make it personal.’ That’s the default message and no, most people (real contacts whose names I recognize) don’t make it personal. They just send the default message. Soon we will be selling “Just For Men” and “Loreal” for teens. We are not letting them be kids – the LinkedIn model for kids reinforces this push (mainly by corporations and school districts) to get kids adultified. They’re at Starbucks, doing internships in jr high, and now LinkedIn? Something is wrong here or it’s just me. @G: The underlying question about the “boilerplate” request to link is, does the user ever actually see that line? Does the user even know the request is being sent out? That’s the substance of the lawsuit I refer to. Anyone want to work with me to found a professional networking website that is dedicated to professional networking? The test, of course, will be to see how long we can maintain the integrity of the site and keep it dedicated to its mission without turning evil. The news stories about LinkedIn hacking email lists might explain why I have begun receiving endorsements and linkedin connection requests from people I haven’t had contact with in over 10 years. 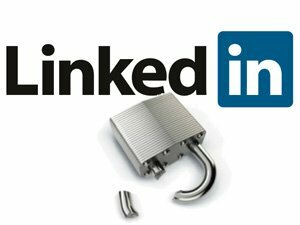 As for targeting children as young as 13 – judgement day for the management and board of LinkedIn will come and they will have to answer for their actions. I find it useful as a tool for maintaining contacts, just as Larry says. In the areas of high tech where I work, people move semi-annually – I cant imagine trying to keep up contact information without LI, frankly. A new jobi a perfect time to touch base with a contact, and remind them to start looking for the next job, too!! My personal contact database, however, is my IP, and I dont let ANY program, software, (Linked in, FB, corporate server) have access to it. I feel badly for those who clicked the “let LI access your contacts” button, but let that be a lesson about your personal information. My personal hit rate with the standard LI greeting is >90% but that is probably because Im old, fat, and in power – so contacts usually want to reach me. 231M members? So what? How are you going to make money? The usual ways…..
Like others, I have never allowed LI access to any of my contacts – personal or business. However, I am suddenly seeing far more spam e-mails from people/companies with whom I am not connected. If I get spam from connections, I simply disconnect from them immediately. If I get an invitation to connect with someone, I look at their profile first and if I suspect that I am nothing but a target for sales, I explain in my acceptance (providing I accept at all) that if they think I am a sales target to think again. Excellent article Nick. Your analysis of LinkedIn was spot on. I am a former premium LinkedIn user (tested it for two months and found zero value). Hopefully the mainstream business media will get on this story to let a wider audience know about what LinkedIn has sadly become. @VP Sales: 231M members = 231M names on the cold call list. I agree: So what? No one in sales gets paid for making calls. Just for closing real deals! @Gail Wallace: Interesting, isn’t it? I’ve suddenly got over 500 link requests waiting in my queue! Clearly, these are not all real. Tell you what I’m doing: Every new link request I receive that uses the boilerplate gets a personal note from me, asking whether they actually sent it themselves. I’ll report back here. But I’d like to suggest that EVERYONE start doing this. Create your own short boilerplate text, and send it to all comers. Let’s find out who ISN’T sending these requests! I’ll do a follow-up column if we get some real data. Interesting column. I am continually surprised by the number of generally intelligent people who repeat LinkedIn’s marketing propaganda as if it were fact. My pet peeve on LinkedIn is the recommendations. For a few years now I’ve been hearing people say you need recommendations in your LinkedIn profile to be seen as credible. But, who started that rumor? Answer: LinkedIn, but they have said it so confidently that they have tons of people repeating it as if it were fact. I see a lot of quid pro quo recommendations from people I know have no respect for one another and sometimes recommendations from relatives. I’ve heard a lot of people say that when you ask someone for a recommendation you should offer to write it for them, so I really don’t believe most recommendations. Personally I refuse to write them because I don’t want to rank and rate my former employees in a public forum. I also have never asked anyone to write one for me. On endorsements, some people have endorsed me though I never asked. I appreciated the thoughtfulness but the reality is that in most cases the people that have endorsed me really don’t know that I have the skills they have endorsed me for. And last,I’ve noticed for a while now that the people LinkedIn is suggesting I may know are people in my email address books, but I never knowingly gave them access to my address book. Carolyn, on endorsements, LinkedIn is popping up a suggestion to endorse specific people in your contact list for specific skills they have listed. So people can endorse each other without thinking about it or taking any initiative. Not meaningful. Barbara, I have never listed any skills in my LinkedIn profile, but people have endorsed me for skills they think I have. @Carolyn: I see the same thing happening on my profile. Amazing. The people who have the 500+ connections amaze me, too. Do they really know that many people professionally? How ironic that many of these people happen to be recruiters! It makes me have a “c’mon, man” moment. What will the statistics about who is really trying to connect with me, vs someone entire connection list was requested contact, useful? What will you get out of these statistics? I am unconvinced at the moment of the utility of this request. But I await your reply. I have an email address which I use only for linked in. So if I get a connection request to my other email address, I know that its a request that came in because someone let LinkedIn read their contact list, rather than a personal invitation. I usually delete the email. I notice when I sign into linkedin, that there is not an invitation waiting for me there. So that tells me again that the ‘invitation’ isn’t really. @Lucille: If LinkedIn is taking people’s lists without truly informed consent, then what LinkedIn is doing is wrong. What good would it be to know that? Having some good evidence and discussing it publicly could either push Linked to behave better, or it could help those suing. LinkedIn marketing to 13-year-olds?? Now that is disgusting! Do kids really need to focus on a career? I think not! The most important thing children should focus on is being children! Playing sports, joining activities, enjoying childhood. The happiest adults are those that have had a childhood. LinkedIn started as a great way to reconnect with colleagues that have lost touch and for finding talented professionals to hire. Now it borders on the absurd. It’s hard to take it seriously anymore. Although Google+ isn’t all that either, so there really aren’t any other options at this time. I love that van pic-dead on! @RN-Yes, something is very wrong here. Your gut is not lying to you. They are trying to take advantage of the second largest economic demographic in the US-the millennials- under pretense of “getting prepared for career acknowledgement” or whatever nonsense. @Larry Kaplan- It’s definitely a public digital rolodex. @Nick-I think you have this keen analytical eye of seeing the forest OVER the trees. This is database/information collection pure and simple. You nailed it! If you get luck some of the LinkedIn Groups discussion forums can be good. An opportunity to have relevant discussions and network with other people in the same field. Similar to what Answers once was. Unfortunately with a huge proliferation of groups that are far too much the same, finding the good ones can be hard. I regularly get invitations to join from people I know, using the boilerplate text. I checked with one of them, to be told that LinkedIn had spammed everyone in his addressbook. Sometimes it happens shortly after I’ve acquired a new client, presumably because my email address is now in their addressbook. The interesting thing is, I’m not on LinkedIn, so it can’t be finding my name from its list of members and making suggestions to these people. When will people ever learn about these sites? This comes as no surprise to me at all. I want nothing to do with these sites. I have all the professional connections I need and I have no need to connect with a bunch of strangers. I am surprised that people tout these social media sites as ways to professionally present oneself, and how many have fallen for it. I can tell you right now when I see an executive on Facebook or Linkedin I immediately question his mind. I think this is horrible–what’s next? They’re already marketing to young teens, are toddlers next? I think LinkedIn needs to do some serious introspection–look at what made them stand out from the Facebooks, the MySpaces, and other social media, and go back to that. When I was 13, I didn’t have clue what I wanted to do career-wise. I was in the 8th grade, and my biggest concerns were getting good grades and the social stuff that 13 year old deal with in junior high. I’d been working summers since I was 10, and if anyone had suggested to me that think about my career, I would have wondered what they were talking about. I did farm work–picking cucumbers, tomatoes, cutting spinach, and when I turned 14, I worked on tobacco. Those were the only jobs available to me until I turned 16 and could get working papers, which would have allowed an employer such as a store or restaurant to hire me. Work was seasonal, and used to buy my school supplies for the coming year. What little I had left over (farm work paid very, very little) I saved. No one did internships. And at that age, kids were still figuring out what they were good at academically, or if they weren’t academically inclined, then they went to the local vocational school the following year instead of continuing in the same school system to the high school. Many college kids don’t know what they want to do, much less junior high school kids. LinkedIn is also marketing its “services” to colleges, encouraging them to join so that “future students” can contact them. Duh….why would a high school applying to a college go to LinkedIn for info about that college? Common sense dictates that you would go directly to that college’s website for information about the school, admissions, academics, alumni, and more. I think that LinkedIn has just gotten so greedy, so hungry for fees that their marketing dept. is on steroids, and they’re using a kitchen sink approach–marketing to those who won’t be on LinkedIn for many years to come and suckering those in to paying fees for information that can be accessed easily by going directly to those websites without using LinkedIn. I’m still on LinkedIn, but I’m very disappointed with the direction their marketing is going. In one of the groups that I’ve joined, a number of others think this (marketing to young teens, pushing colleges to join so prospective students can find them) is an excellent idea. I just have concerns with bringing 13 year olds onto a site that is supposed to be for working professionals. I’m just waiting to get an email from LinkedIn with images from the Twilight movies (marketing to tween girls) and Spongebob Squarepants (you know that they’ll be after the kindergarten set soon). Sheesh!